Happy New Year! An Online LHBOTS of Sorts - In Search of Philip R. Davies: Whose Festschrift Is It Anyway? For Hanukkah, we celebrated by giving eight LHBOTS gifts (albeit a few belated ones). And we're doing the same thing for (belated) Christmas/New Year's as well! We're very pleased to make available to you a festschrift for Professor Philip R. Davies, marking his 60th birthday entitled In Search of Philip R. Davies: Whose Festschrift Is It Anyway? Dr. Duncan Burns and John W. Rogerson, his former student and colleague, respectively, have edited a collection of essays honoring the legacy of his scholarship - a collection that reflects the scope, interest, and influence of Professor Davies from the last 30 years. 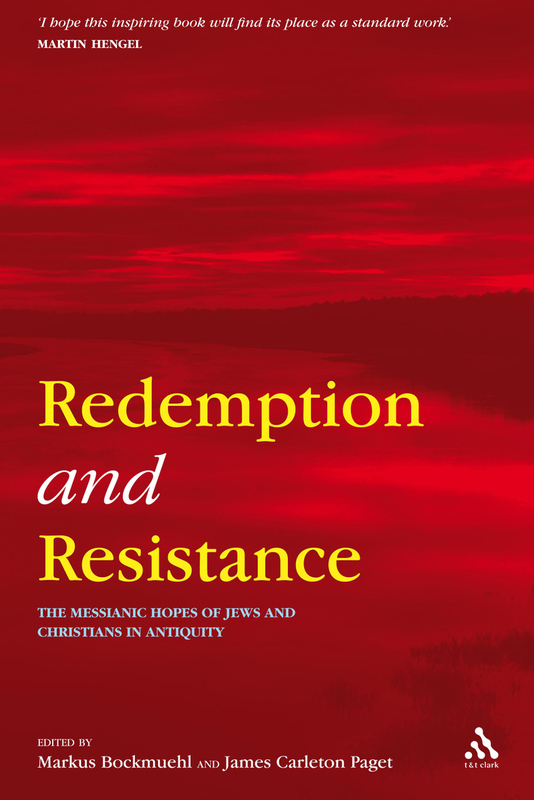 These articles from their peers reflect on the impact Professor Davies has made in three particular areas of study: Hebrew Bible, Qumran, and Palestinian Archaeology; New Testament and Early Judaism; and Biblical Interpretation. Our gift to you is that we are making some of these essays available for download in pdf format. A happy and safe New Year to all! We here at T&T Clark resolve to continue to bring you the best in biblical scholarship and theology as we have for over a century! I suppose that, as Bloggers, we do have to do a Christmas post, just like normal people send Christmas cards. Well then. Being T&T Clark, we could not think of a better way to do this than to quote from one of our major works. Karl Barth's speaking of the incarnation of the divine logos as The way of the Son of God into the far country always strikes me as one of the most beautiful ways of describing the mystery of Christmas. So, here is a passage from par. 59 of the Church Dogmatics. With this we send our best wishes for a blessed and peaceful Christmas to all of you. Thank you for your friendship, your support, your feedback and many wonderful conversations in 2007. We are looking forward to working with you in 2008. "The way of the Son of God into the far country is the way of obedience. This is (in re) the first and inner moment of the mystery of the deity of Christ. Now that we have dealt with the second and outer moment, it is to this that we must turn. We have seen already that if in faith in Jesus Christ we are ready to learn, to be told, what Godhead, or the divine nature, is, we are confronted with the revelation of what is and always will be to all other ways of looking and thinking a mystery, and indeed a mystery which offends. The mystery reveals to us that for God it is just as natural to be lowly as it is to be high, to be near as it is to be far, to be little as it is to be great, to be abroad as to be at home. Thus that when in the presence and action of Jesus Christ in the world created by Him and characterised in malam partem by the sin of man He chooses to go into the far country, to conceal His form of lordship in the form of this world and therefore in the form of a servant, He is not untrue to Himself but genuinely true to Himself, to the freedom which is that of His love. He does not have to choose and do this. He is free in relation to it. We are therefore dealing with the genuine article when He does choose and do this. Even in the form of a servant, which is the form of His presence and action in Jesus Christ, we have to do with God Himself in His true deity. The humility in which He dwells and acts in Jesus Christ is not alien to Him, but proper to Him. His humility is a novum mysterium (new mystery) for us in whose favour He executes it when He makes use of His freedom for it, when He shows His love even to His enemies and His life even in death, thus revealing them in a way which is quite contrary to all our false ideas of God. But for Him this humility is no novum mysterium. It is His sovereign grace that He wills to be and is amongst us in humility, our God, God for us. But He shows us this grace, He is amongst us in humility, our God, God for us, as that which He is in Himself, in the most inward depth of His Godhead. He does not become another God. In the condescension in which He gives Himself to us in Jesus Christ He exists and speaks and acts as the One He was from all eternity and will be to all eternity. The truth and actuality of our atonement depends on this being the case. The One who reconciles the world with God is necessarily the one God Himself in His true Godhead. Otherwise the world would not be reconciled with God. Otherwise it is still the world which is not reconciled with God." Merry Christmas from all of us at T&T Clark! I apologize for the very short notice on this one, but if you are interested in listening to the live online broadcast of the Choir of King's College Chapel at Cambridge singing the Christmas Eve Nine Lessons and Carols, it will begin in a few hours on BBC Radio 4 at 15.00 GMT and 10:00 am EST. I know that a few public radio stations in the United States will be providing a live simulcast as well. Regardless of your theological persuasion (if you have one), it is sure to be quite beautiful. Live from the Chapel of King's College, Cambridge. This service, which for many people all over the world marks the beginning of Christmas, is based around nine Bible readings which tell the story of the loving purposes of God. The Choir sings carols old and new and leads the congregation in traditional Christmas hymns. The Society of St Catherine of Siena is organising a Colloquium on Margaret Barker's forthcoming book Temple Themes in Christian Worship. The event will be hosted by Paul Bradshaw on the London Campus of The University of Notre Dame near Trafalgar Square on Wednesday 5th of March 2008. The book will be out in January 2008 (US publication March 2008). 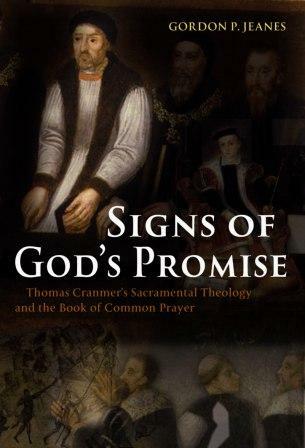 The Society of St Catherine have kindly invited Dr. Barker to make a presentation of the book. A number of scholars drawn quite widely across different Christian traditions will then make an initial formal response with an opportunity for wider discussion. More details will follow in due course. Many thanks to the Society of St Catherine of Siena and Dr Susan Parsons and Dr Laurence Hemming in particular for organising this event! Are you a discerning reader? Of course, you are! You read us! Well, expand your noggin's knowledge by checking out this new review by The Discerning Reader of Hugh Ross Mackintosh's The Person of Jesus Christ, which we put out back in The Year 2000. Also of interest is that this volume is edited by the recently deceased T. F. Torrance. It's always nice when we come upon reader reviews. There is a very active online readership of theology and biblical studies and it's important to let them all know that their thoughts and reflections are very much appreciated. The main body of the work sets out “to contemplate the Lord Jesus Christ reverently in…his attitude to men in Palestine…as he still speaks and lives within human souls…[and] to indicate his connexion with the inner life of God.” No problems are more sublime, Mackintosh says, and no problems are so intensely practical. Here is a professor who sought not to live in the ivory tower, but to commune with Christ and his fellowmen in the highways and byways of life. Thanks for such a nice review, DR! Read the entire review at DR's website, linked above. I've put a link to the left, if you're interested in purchasing it from amazon.com. Not my cup of tea, really. Tyndale's Manga Messiah looks much more of what people consider "manga", anyway. And what kid can resist a tagline like "Has he come to save the world... or DESTROY it?!" I guess I'll have to read to find out, won't I? It's always interesting how people re-present biblical stories through whatever popular art is "contemporary" at the time. You'll pardon the pun, but a a sign of God's promise in this case is an excellent endorsement from Diarmaid MacCulloch for Signs of God's Promise by Gordon Jeanes. Thomas posted on it when the manuscript came in (see the link below). 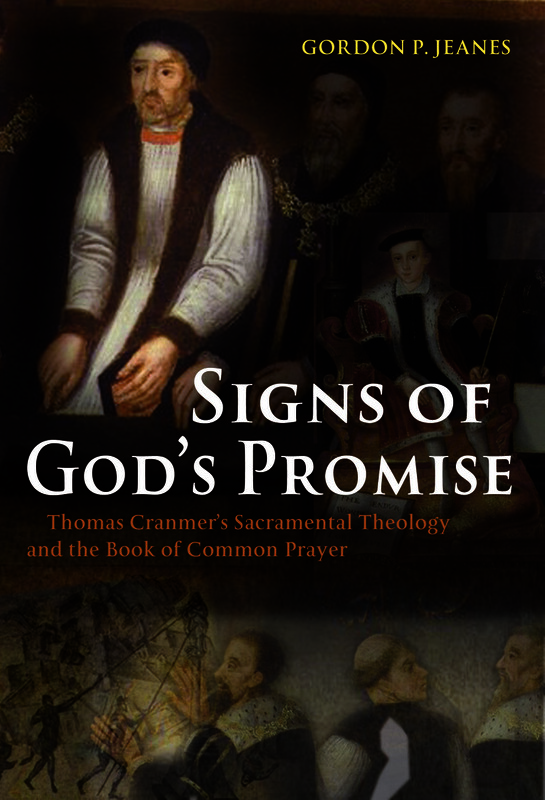 "Thanks to Gordon Jeanes, we have a last a reliable and comprehensive guide to Cranmer's theological motives in reshaping the practices of baptism and eucharist, the basis of all later Anglican sacramental liturgies. This work will be of lasting value"
Diarmaid MacCulloch, Professor of the History of the Church, Oxford University. We are very excited to announce that Paul Joyce has completed his greatly anticipated LHBOTS volume Ezekiel: A Commentary, Vol. 482! We are also very honoured for Professor Joyce to write a guest post for us about his work! Just so you know, he has been absolutely wonderful to work with, an editor's dream. This commentary has been a labour of love over the past decade. During this time, I have benefited greatly from conversations and friendships with colleagues within the "Theological Perspectives on the Book of Ezekiel" section of the Society of Biblical Literature, which I currently have the privilege of chairing. The emphasis is on the insight that many different kinds of questions may illumine a text like Ezekiel. 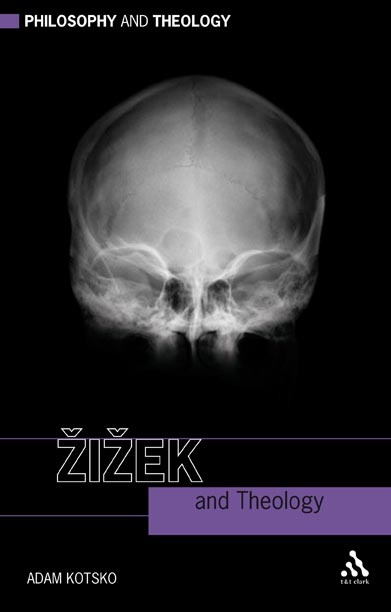 And so this commentary addresses not only the historical-critical agenda of Ezekiel studies (issues such as “Text and Versions” and “Place in the Canon”) but also includes a range of newer approaches and questions, such as those of feminist criticism and psychological reading as well as the notion that Ezekiel should be regarded as a "character" within the book. The volume features a large and up-to-date bibliography of Ezekiel studies, including reference to a number of forthcoming works and commentaries currently in preparation. There is an extensive survey of Ezekiel in tradition, ancient and modern, Jewish, Christian and indeed Muslim. Quentin Tarantino’s important film Pulp Fiction (1994) introduces many a violent shooting with the recurrent refrain: “I will execute great vengeance on them with wrathful punishments. Then they shall know that I am the LORD, when I lay my vengeance on them.” These words are taken from Ezek 25:17. It is sobering to reflect that this proved to be the primary association of the word “Ezekiel” for millions of people around the world at the end of the twentieth century. Though it can hardly be denied that vengeance is a strong feature of the first half of the book, it is sad that brutal vengeance is what the word “Ezekiel” evokes for so many. But there is so much more to this great book, including the resources it gave to Judaism to learn to cope with diaspora living outside the land of Israel, its emphasis on responsibility before God, its promise of a “new heart” and a “new spirit” and of “dry bones” raised to new life, and indeed its radical theocentricity-for in many ways this is the most God-centred book in the Bible. 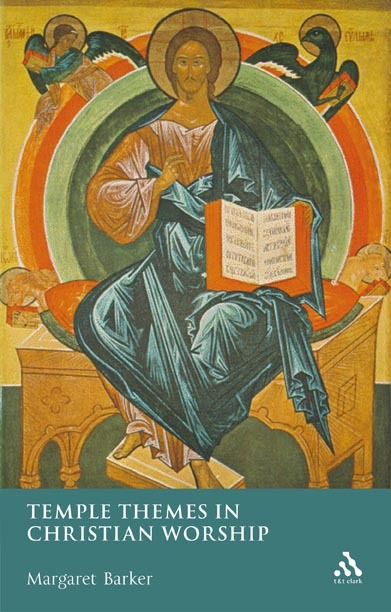 My purpose in this commentary is to make a distinctive contribution to the interpretation and understanding of the book of Ezekiel, particularly in terms of its theology, grounded in both historical research and literary sensitivity. I have provided an extensive introduction so that issues may be introduced thematically. Also I have written at proportionately greater length on many earlier chapters of the book so as to discuss on their first appearance features and motifs characteristic of the whole. The intention is to draw out the theology of the book of Ezekiel (in so far as possible) in its own terms, using the tools of textual, historical and literary criticism. This then leaves the work of constructive appropriation of the text to others, whether of Jewish, Christian or other background. Hopefully this commentary can make a contribution to that important task by way of foundations. (Belated) Hanukkah Gift #8: LHBOTS "Gordon Wenham Festschrift" Released! Well, better late than never, I guess. Here's your last LHBOTS Hanukkah gift and it's a good one. Reading the Law: Studies in Honour of Gordon J. Wenham, Vol. 461 is edited by J. G. McConville and Karl Moller. It was officially released last month here in the US, but it gets released in the UK in January, so December is as good as a time to let everyone know! This volume is a Festschrift for Prof. Gordon Wenham. Its chosen theme is intended to reflect his central interests in his long career of writing on the Old Testament, in which he has exemplified the highest standards of scholarship, but also written for practitioners of biblical interpretation. The topic of 'reading the law' has three aspects which will be treated by the various contributions, namely: 1. Reading the Pentateuch: Pentateuchal criticism, narrative readings, rhetorical-critical readings; 2. Reading the Law: the law codes in historical and/or literary context, anthropological readings, the law in relation to prophets, wisdom, worship; 3. Reading the Bible ethically: e.g. ethics of marriage, war. Quite the cast of contributors, too!